Recently, I was working with a group of Middle Years teachers in Brazil. Throughout the week, we were working on strategies to cultivate curiosity in our students and allow them the space to ask important questions that could drive a learning community’s learning. One morning, I was asked to teach a grade 6 debate class on how to construct an argument (Yikes!). 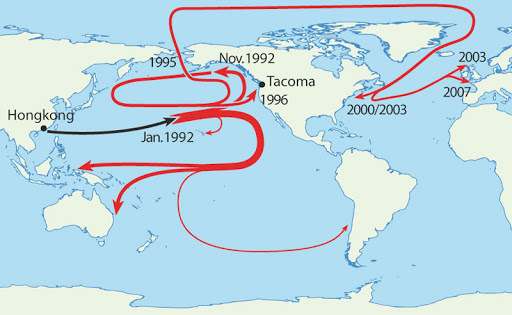 As a means to engage the students, I walked into the classroom and showed them a map of the world from 1992 which showed where 29 000 rubber duckies made landfall after falling off a cargo ship in the Pacific (A collection of 40 great maps has been circulating Facebook and Twitter). The map showed how these ducks, due to currents and prevailing winds, managed to make landfall on every continent. I then dumped out the garbage can in the classroom, emptying plastic water bottles and cups onto the floor. I asked the students where they thought much of our plastic ends up and why it does not breakdown. From there, our learning community was able to inquire into the massive oceans of plastic which currently exist and why things are made out of plastic if it does not breakdown. We broke out into teams and began to research the School’s usage of plastic cups and the students decided that they needed to convince the administrators that they needed to ban all plastic cups and bottles from the school. As the teacher, I was delighted with their inquiry and felt pretty good about myself. Then, Paulo asked this question: “If I am a person who really wants to help the environment, then why do I do things like use plastic cups when I know that it is bad.” Man, did I feel dumb. I had no answers. The significance of Paulo’s question is based on two underlying gaps in human cognition related to climatic, geological, and ecological changes. The first gap is between the research underpinning the pending ecological crisis. Data from America’s National Snow and Ice Center confirmed the lowest amount of Arctic ice coverage since 1979, when scientists started keeping records. Using this data, NASA scientist James Hansen acknowledged two important things. The first: “We have a planetary emergency.” The second: “There’s a huge gap between what is understood by the scientific community and what is known by the public… unfortunately, the gap is not being closed” (Andrade, 2012). Hansen, along with most within the scientific community, not only articulates the severity of the state of the biosphere, but also implies that humans are not conscious of the reality. But it is not merely a knowledge gap, as Paulo points out; it is also one of malaise and motivation. The gap is based on what Zizek (2011, p. 352) describes as “agnostic pluralism,” or a lack of political passion. Zizek identifies a major gap in our understanding of the pressing environmental crisis and our motivation to react to it: “The gap…is that between knowledge and belief: we know the (ecological) catastrophe is possible, probable even, yet we do not believe it will really happen” (p. 328). But equally important to understanding these gaps in human cognition, was my realization how important curiosity and inquiry are in fostering ecological literacy in youth and in ultimately creating a sustainable future. The ecological catastrophe that lay our feet is well documented. 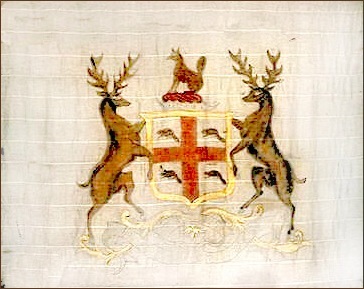 In 2009, Rockstöm et al. 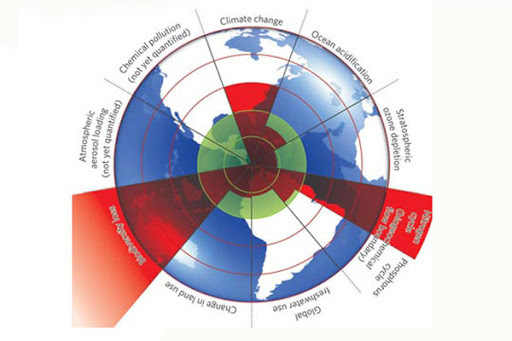 created nine planetary boundaries that we could not surpass for human activity to continue. At present, we have surpassed three, including CO2 levels an ocean acidification. If we are to foster the skills and creativity needed to attack this dilemma head on, teachers and parents need to move beyond superficial lessons related to recycling and composting, and move towards an education that incorporates systems thinking, an understanding of thermodynamics, and an underlying acceptance that nature sustains all life. This type of education will involve a massive disruption in how we conceive and construct school experiences presently. It will involve ecologically literate teachers, administrators, custodians, and parents. It will require that we get students outside, that they learn science, math, and French at the same time. It will fundamentally require us to transform our schools into ecological think tanks, and not, in some cases, places where we perpetuate the same ideas that got us into this mess in the first place.